Anyone who has been to Japan knows all too well how vending machines live on virtually every street corner, so you shouldn’t be too surprised to learn that one of the nation’s biggest companies has decided to launch its own dispenser in the U.S. But this is Uniqlo we’re talking about, so its vending machine will be offering things to wear rather than drink. 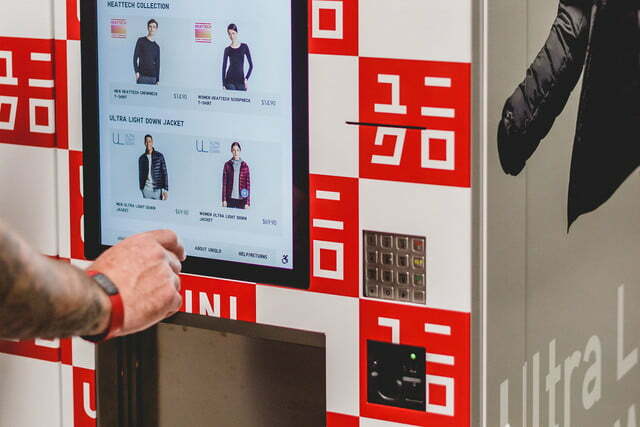 That’s right, it’s built a vending machine that sells clothes. 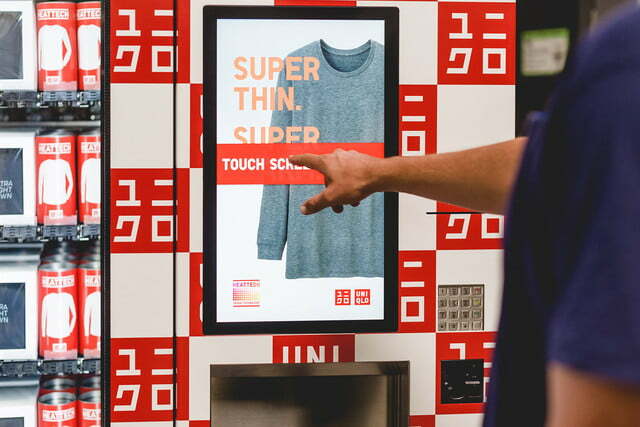 In what could be a world first, Uniqlo plans to launch 10 of the six-foot-high vending machines at locations across the U.S., including airports and shopping malls, the Wall Street Journal reported on Wednesday. 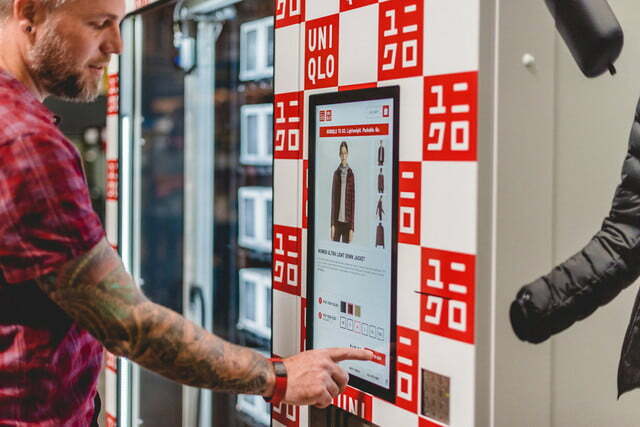 The clothes-filled contraptions will have digital displays and allow shoppers to select the size and color of items, which are expected to be limited to two pieces: down jackets and heat-retaining shirts. Browse the selection, hit the buy button, and your purchase will drop into the tray inside a box or can. As there’ll be no fitting room attached (now there’s an idea, Uniqlo), you’ll have to try on your purchase in full view of passing shoppers, or wait till you get home. If it doesn’t suit, you can get your money back by returning it to a Uniqlo store or by mailing the item to the company. In other words, stuffing it back into the tray and yelling for a refund will get you nowhere. The dispensers could certainly come in handy if you’re on vacation and forget to pack a warm jacket. 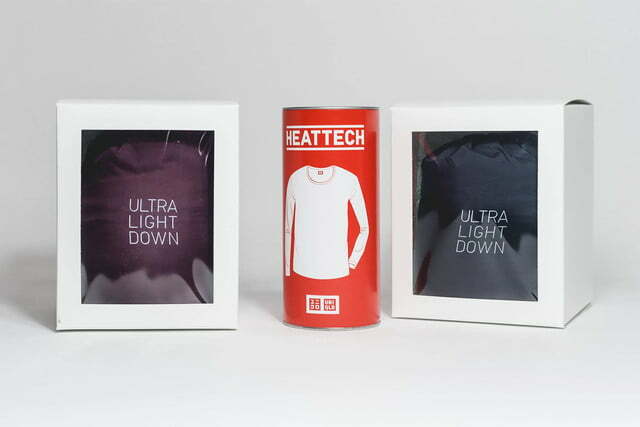 In that case, you can simply quickly grab one from a Uniqlo machine as you head out of the airport. Uniqlo is the biggest clothing retailer in Japan but has had a tougher time cracking the American market with its reasonably priced, mostly casual range of clothing. 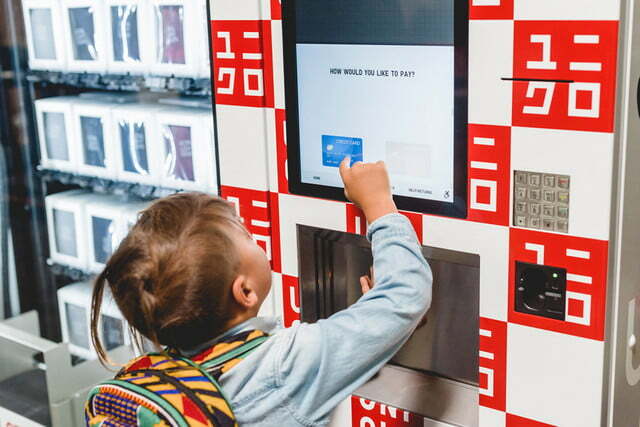 The company’s marketing chief, Marisol Tamaro, told the Journal that it’s currently “trying to understand where we can be more successful without making a big commitment.” Time will tell if its vending machine strategy represents a breakthrough moment. 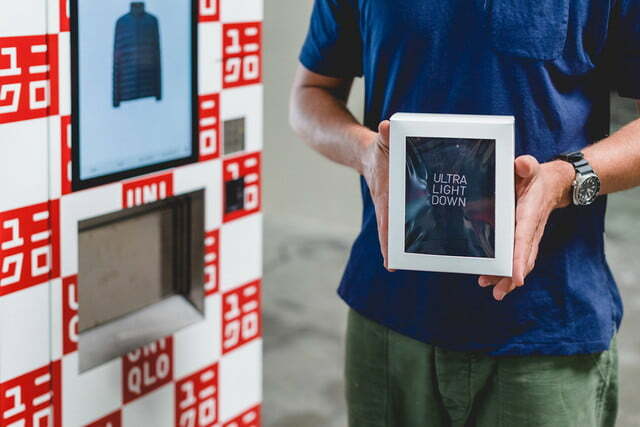 If you fancy the experience of buying clothes from a vending machine, then drop by the Hollywood & Highland Center in Los Angeles from August 10, Houston Airport from August 17, or the Queens Center mall in New York City from August 22 and make your selection. 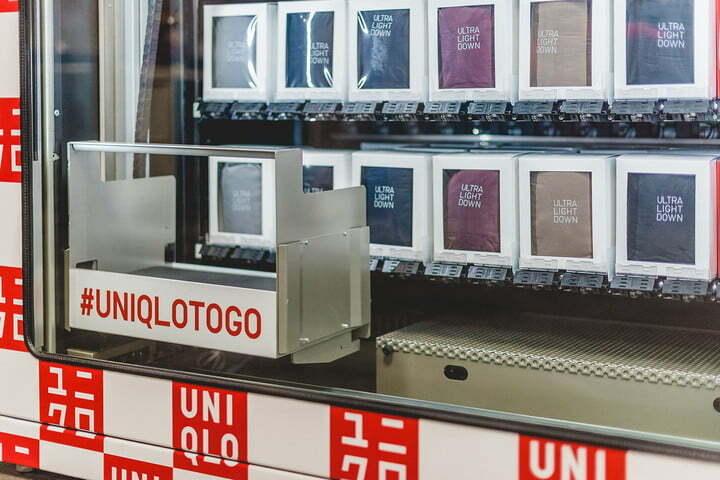 Uniqlo said it will reveal additional locations for its dispensers soon.